Some people think that SPF is enough. However to get protection from UVA rays which causes premature aging and wrinkles, you need to protect your skin for UVA rays as well and for that you need at least PA++. Thus, always choose sunscreen with SPF and PA++ formula, both. Some people believe that applying sunscreen once in a day is sufficient. However the truth is, reapplication is required for complete day time protection from harsh sun rays. There are mainly there types of harsh Sun rays, UVA, UVB & UVC. We humans don’t need to worry about UVC rays, because the ozone layer absorbs this (UVA) type of harsh rays. However, UVA and UVB sun rays are causing problems. UVA types of sun rays are responsible for premature aging, even out skin tone and wrinkles. And UVB types of sun rays are responsible for sun burn and sun tanning. Now, SPF (Sun Protection Factor) mentioned on sunscreen protects your skin from UVB rays and PA++ mentioned on sunscreen protects your skin from UVA rays. Thus, you should always buy sunscreen lotion or moisturizer with SPF and PA++ both. How to Choose Right Sunscreen for Your Skin Type? If you got Oily Skim, You should choose sunscreen which are matte finish Gel Based Sunscreen. If you have dry skin, you can choose rich balms and creams with good SPF 30 at least. If you got sensitive skin which is acne prone, your sunscreen should contain Zinc Oxide or Titanium Dioxide. Watch this Video for more Clarity! Here is the latest and Most updated list of Top 10 Sunscreen Creams, Gels and Lotions available in India for summer 2018. 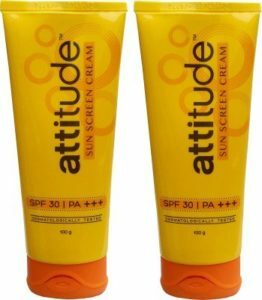 This product is one of the most popular sunscreens available in the Indian Market. 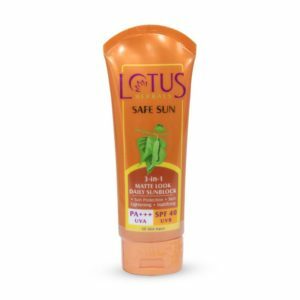 Loaded with SPF 40 and PA+++, Lotus Herbals Safe Sun 3-In-1 Matte Look Daily Sunblock can prevent sunburn and sun tanning to the great extend. It is light on the skin, and facial skin absorbs it quickly. Moreover, it comes with a matte formula which promises no more greasy looking skin after sunscreen application. Vichy is the brand known for high-quality skincare products. 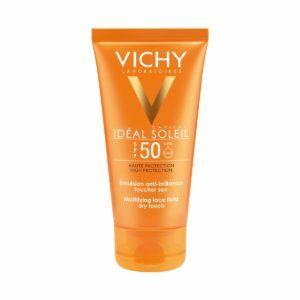 This Vichy Sunscreen comes with SPF 50 provides protection from both UVA and UVB sun rays. It is an ideal choice if you are going to witness very high sun exposure. It has inbuilt face fluid dry touch formula to give you matte, nongreasy, nonoily finish after sunscreen application. 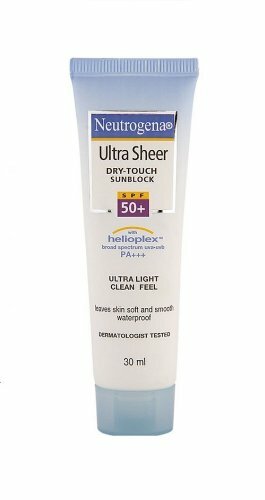 Neutrogena Ultra Sheer Dry touch Sunblock SPF 50+ is personally one of my favorite sunscreens. I have completed two of them, before trying something new, and I highly recommend this product. It offers high coverage from Sun Exposure with SPF 50+. The texture of Neutrogena Ultra Sheer Drytouch Sunblock is creamy but light and nongreasy. 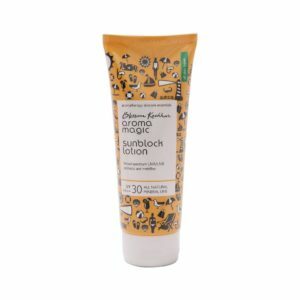 If you got the sensitive skin or acne prone skin, this sunscreen is a perfect choice. I am currently using this product, and I am 100% satisfied. I have already emptied one and bought it the second time ( I have already reviewed it already. You can check this post for detailed review. It comes with SPF 30 PA+++ formula which is an ideal thing for hot Indian summer. The best part about this Sun Screen is its texture and post application feel. It comes with really thick texture, but my skin drinks it well. It doesn’t leave those dirty white patches and greasy feeling at all. Also, it is light on the skin, and the small amount goes well. 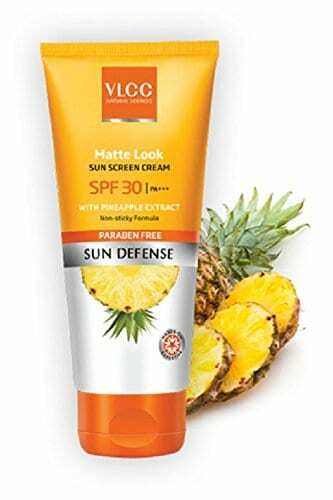 Another good choice for Sunscreen could be VLCC Matte Look Sunscreen Cream SPF 30. It is Paraben Free Sunscreen with PA+++ formula. This matte look sunscreen provides protection from UVA and UVB sun rays. The price is quite affordable too. Aroma Magic is an Organic Skincare brand from India. It contains cucumber extracts that soothe sunburn and provide smart sun protection. It is 100 percent free from oxybenzone, paraben, harsh chemicals, alcohol and artificial fragrance. It is SPF30 PA++ Sunscreen in the cream format. If you are looking for something Organic, this is an ideal choice. It is available in 50ml packaging too. La Roche-Posay is a Europian Cosmetics Brand, known for high quality targeted skincare solution. 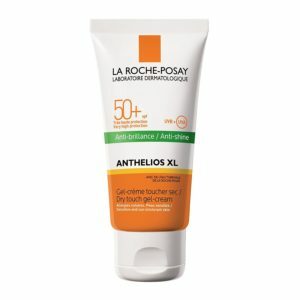 La Roche-Posay Anthelios XL SPF 50 is a highly concentrated SPF 50. 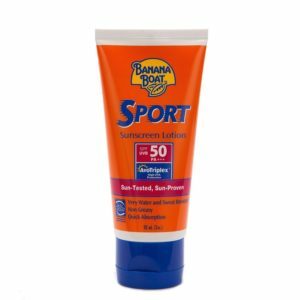 If you are a sports person, traveler or someone who went out a lot and work outside, you need such highly concentrated SPF 50. It has goo reviews and works efficiently, preventing your skin from Sun burn & tanning. 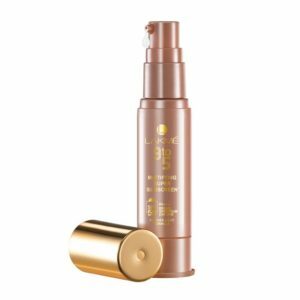 If you are looking for something in a budget and looking for broad spectrum protection from UVA & UVB rays, Lakme 9 to 5 Mattifying Super SPF 50 Sunscreen Lotion is an ideal choice. It comes with PA+++ mattifying formula, prevents skin aging, tanning and sunburns. L’Oreal Paris UV Perfect Advanced 12H UV protector comes with SPF 50, PA+++. The texture of this is like lotion, which is not too thick. Mostly it is nongreasy and silky smooth when applied. It promises 12h protection from harsh UV Rays. The only drawback is, it is available in small packaging of 30 ml only. However, if you are looking for something to carry during travel, this would be a perfect choice. So, these are our Top 10 picks for best sunscreen moisturizers available in India. We highly recommend these, and we insist you to wear sunscreen every day. Even if you work inside office or travel in the car, you need SPF. If you are going for swimming or traveling in summer days, we recommend SPF 50 or more. Hope this article will help you all. Share your views. If you have queries, feel free to ask 🙂 you can email us on [email protected] for the comment below.